This is the fifth edition of CSA Z662, Oil and gas pipeline systems. It supersedes the previous editions published in 2003, 1999, 1996, and 1994. Note: Designers are cautioned that the requirements in this Standard might not be appropriate for gases other than natural gas, manufactured gas, or synthetic natural gas. (g) gas storage lines and pipe-type and bottle-type gas storage vessels. 1.4 This Standard is intended to establish essential requirements and minimum standards for the design, construction, operation, and maintenance of oil and gas industry pipeline systems. This Standard is not a design handbook, and competent engineering judgment should be employed with its use. Note: For steel pipe of grade higher than Grade 555, requirements in addition to those specified in this Standard might be needed. Matters that should be considered include joining, strain capacity (including cold bending), pressure testing, assessment of imperfections, and repair. 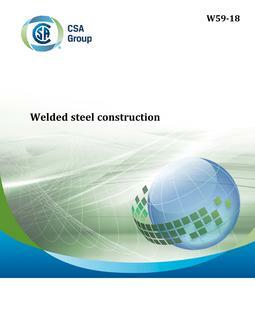 1.5 The requirements of this Standard are applicable to the operation, maintenance, and upgrading of existing installations; however, it is not intended that such requirements be applied retroactively to existing installations insofar as design, materials, construction, and established operating pressures are concerned. 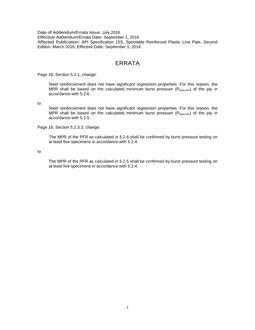 1.6 Unless otherwise stated, to determine conformance with the specified requirements, it is intended that observed or calculated values be rounded to the nearest unit in the last right-hand place of figures used in expressing the limiting value, in accordance with the rounding method of ASTM E 29. 1.7 Where any requirements of this Standard are at variance with the requirements of other publications referenced in this Standard, it is intended that the requirements of this Standard govern. 1.8 It is not the intent of this Standard to prevent the development of new equipment or practices, or to prescribe how such innovations are to be handled. 1.9 In CSA Standards, "shall" is used to express a requirement, i.e., a provision that the user is obliged to satisfy in order to comply with the standard; "should" is used to express a recommendation or that which is advised but not required; "may" is used to express an option or that which is permissible within the limits of the standard; and "can" is used to express possibility or capability. Notes accompanying clauses do not include requirements or alternative requirements; the purpose of a note accompanying a clause is to separate from the text explanatory or informative material. Notes to tables and figures are considered part of the table or figure and may be written as requirements. Annexes are designated normative (mandatory) or informative (non-mandatory) to define their application. This is the third edition of CSA Z662.1, Commentary on CSA Z662-07, Oil and gas pipeline systems. This Commentary is not part of the Standard, and it has not been formally reviewed or approved by the Technical Committee responsible for CSA Z662. It does not provide formal interpretations of the Standard and should be viewed as an informal annotation of portions of the Standard, as compiled by several individuals who were involved in its development. - The scope statement indicates which aspects and parts of pipeline systems and which service fluids are covered by the Standard. - Carbon dioxide was added as a new service fluid in 1996. The definition of "gas" was changed in 1983 to accommodate the coverage of gaseous service fluids other than fuel gas and sour gas; however, until 1996, none had been added. - The carbon dioxide pipelines that are covered are those onshore pipelines that are for use in enhanced oil recovery operations, involving the transportation of high-purity carbon dioxide from a suitable source to the injection site at an oil well. These pipelines were added to the Standard because it was considered that there had been sufficient experience with such an application to warrant their inclusion. Pure carbon dioxide is non-toxic and non-flammable; however, it has some specific characteristics that necessitated the addition of requirements specific to carbon dioxide pipeline systems. It should be noted that the definition of a carbon dioxide pipeline permits the service fluid in such a pipeline to be other than pure carbon dioxide, so additional special requirements are in some cases appropriate. - It should be noted that carbon dioxide might additionally be present in conventional pipelines as a component of a multiphase fluid or as a component of a fluid in a gas gathering system. For such fluids, the conventional requirements previously in place continue to be appropriate.